Short coat by FUCHS & SCHMITT: a timelessly elegant coat made from an unusually supple material with a soft cashmere feel. 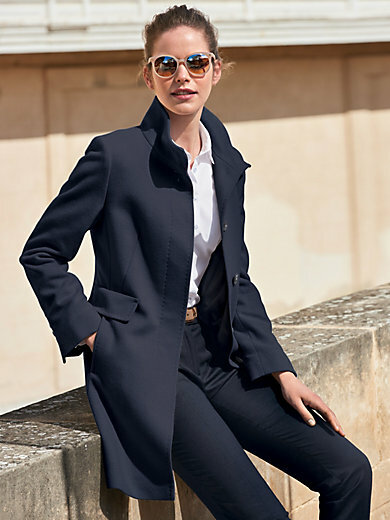 Meticulously fashioned in a slender silhouette with a variable raised collar, concealed button band with a visible outer button, seam pockets with horizontal flaps and a concealed walking vent at the back. 80% new milled wool, 20% cashmere. Lining in 60% acetate, 40% viscose. Length approx. 86cm/34ins. The short coat should be dry cleaned.